Last September I was able to be a part of this fabulous concept shoot that Jessica from Alden Blair Events put together. 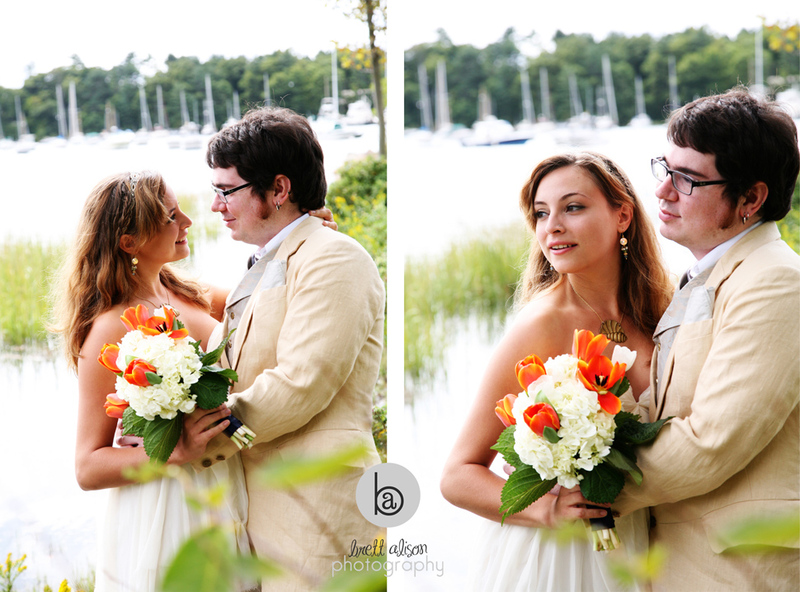 We were able to scout out this beautiful location in Manchester-by-the-sea, Massachusetts, and got my former clients Lisa and Keith to be our models. Jessica put together the entire thing - all the details and nautical theme, made the decorations, set everything up, and I showed for the fun part - to take the photos! 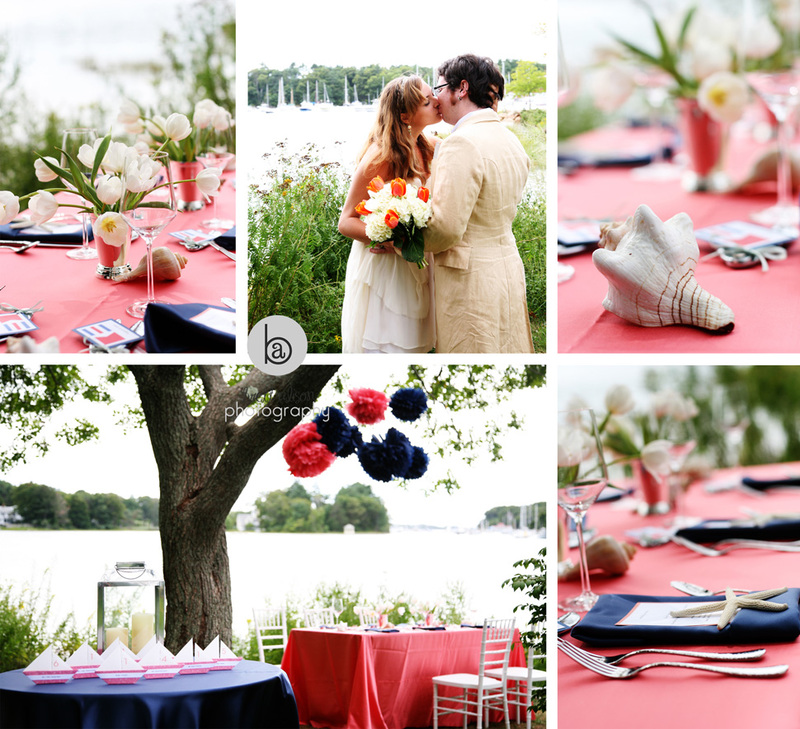 There are so many amazing things here, from the sailboat placecards to the place settings with starfish... Take a look! 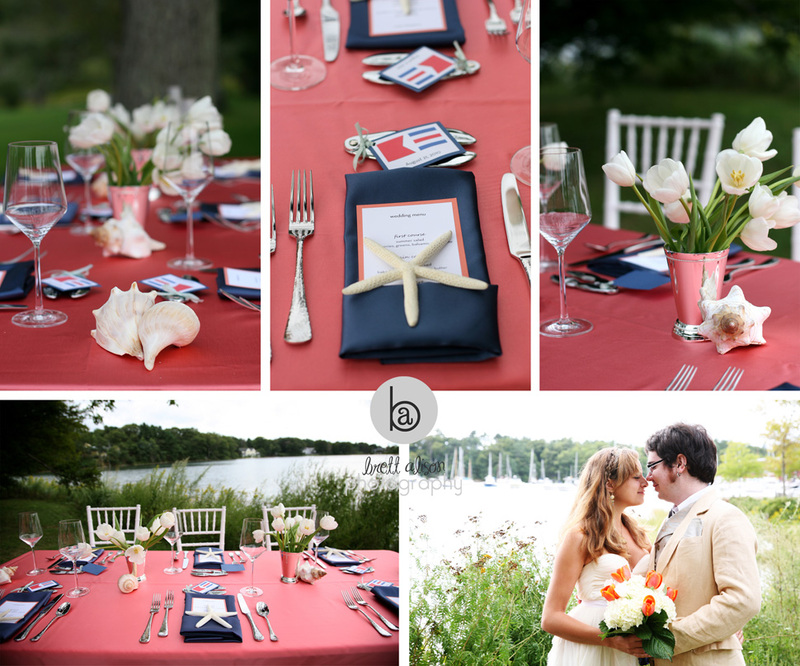 And if you're looking for a wedding planner in the greater Boston area, definitely take a look at Alden Blair Events. 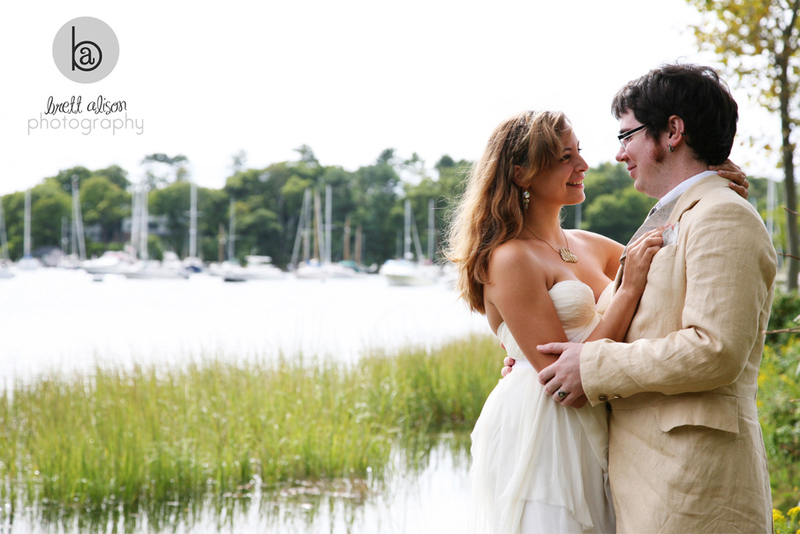 They offer basic day-of-wedding help, to complete planning from start to finish.